You are here: Home / GhostBikes News / Ghostbikes – Happy New Year! Ghostbikes – Happy New Year! Hey, everyone! 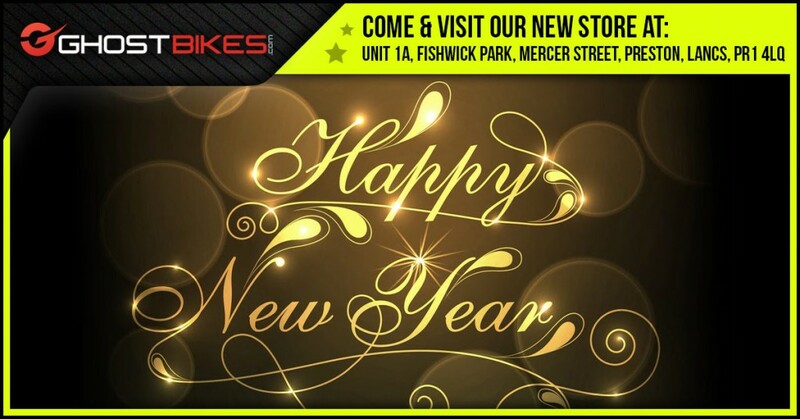 Another quick blog entry to wish you all a Happy New Year from everyone here at Ghostbikes! We hope the New Year brings you all good things and we hope 2018 treats us all a lot better than last year! Have you all got your New Year’s Resolutions sorted? Mine is to dedicate more time to myself and my personal projects in my free time. To let myself be a bit more creative, learn a few new skills, sharpen up some old ones and pick up the tools to put those skills into practice a bit more often. Oh and cut down on sugar too! Once again, Happy New Year, everyone! I’m already itching for the warmer weather to return to us so that we can get in some proper riding and not have to take those corners so gingerly. Take care in all this cold weather, there’s still more winter to go! Thanks for reading, everyone! Until next time!